Sprite and Cleveland Cavaliers forward, LeBron James are back together again, for a new pop. The popular name brand teamed up with James last year for Sprite 6 Mix by Lebron James. That was the first time the brand had teamed up with a celebrity to develop a limited-edition flavor. 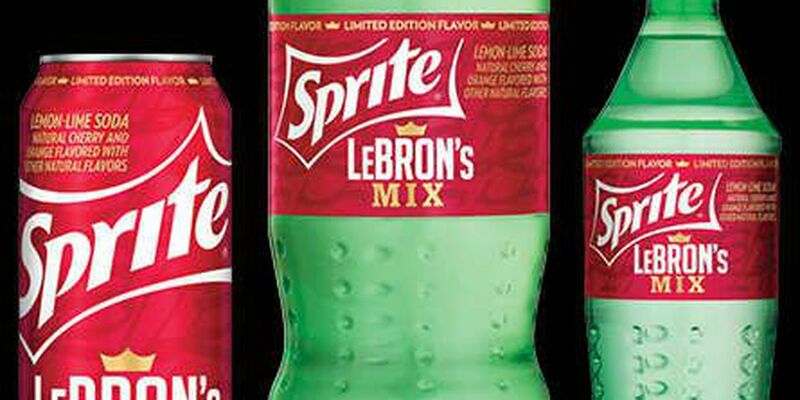 This new drink, Sprite LeBron Mix, will add a splash of cherry and orange to the original Sprite flavor. The packaging is also different. It features a bold red color base with James' initials in the background. Crown iconography and dashes of gold symbolize the superstar's most popular nickname, "King James." is now available in 20-ounce and 2-liter bottles, as well as 16-ounce cans.